America’s gold coins from the late 19th and early 20th century are a treasure that have largely been lost to the world today. Starting in 1933, the US government mandated the collection and melting of all circulation gold currency to bolster federal reserves in the midst of the Great Depression. As a result, stunning coins such as the Incuse Indian Gold Coins became rare collector’s items. 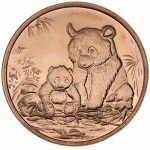 Today, those images are still available though on 1 oz Copper Incuse Indian Rounds. 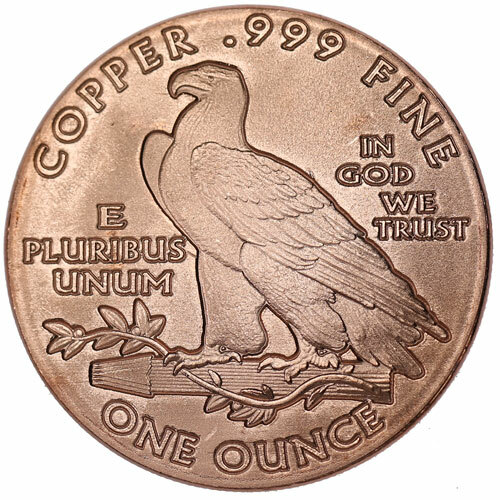 Consists of one AVDP ounce of .999 fine copper. Ships to you in a protective flip, mint tube of 20 rounds, or boxes of 500 rounds. Features the iconic Incuse Indian design created by the United States Mint. Graced the Indian Head Gold Coins from 1908 to 1929. The Incuse Indian gold coins from the United States Mint actually consisted of two separate coins values. 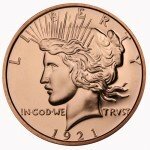 A $2.50 US gold coin was struck by the US Mint between 1908 and 1915, and again from 1925 to 1929. 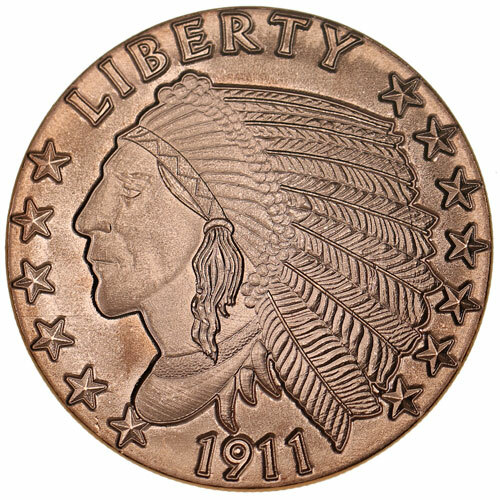 Separately, the $5 US gold coin with the Incuse Indian design was minted from 1908 to 1916, and again for one year in 1929. These coins were referred to as the Incuse Indian because of the nature of the coin’s design. Each one marked the first time the US Mint had featured a sunken design field pressed into the surface of one of its products, rather than a raised striking of the design. If you have questions, Silver.com associates are waiting to help. Feel free to contact us on the phone at 888-989-7223, chat with us live online using our website’s chat feature, or submit your questions via email.